With the end of the season rapidly approaching, let's take a look back at how we got here. Instead of being released as a single experience - as all previous Hitman games had been - Hitman 2016 made the assassination sandbox series episodic. Not before some delays and structure changes had sewn a bit of confusion, though. 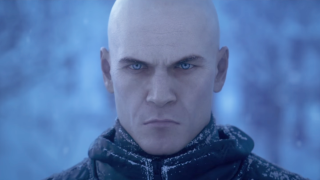 A cinematic trailer for Hitman was revealed onstage at Sony's E3 2015 press conference, though it didn't reveal anything about the game's business model. Instead, it gave us teases of several locations we'd eventually visit, and an invitation to "enter a world of assassination on December 6" - the game's original release date. In mid-September 2015, Hitman was delayed to March 2016. At this point, neither publisher Square Enix nor IO Interactive had fully detailed the game's original business model. That would come at the end of the month, when it was revealed that the game would launch with three locations - Paris, Sapienza, and Marrakesh - with weekly events and more locations added in a separate pack. In other words, you'd get half of the locations, but a majority of the content, if you just bought the Intro Pack, and the remaining three locations would be DLC. The idea of a Hitman game cut in half didn't sit well with gamers, and there was some confusion regarding who would be able to access what content. So in January 2016, it was announced that rather than sit halfway between a premium game and an episodic one, IO Interactive and Square Enix would push the game fully into episodic territory, releasing new levels, targets, and challenges on a steady schedule. Episodic games are inspired by the idea of people "tuning in" regularly for new content, just like they would for their favorite TV show. But with the rise of services like Netflix, more people are opting to wait until they can watch the whole show in one or two sittings and just binge-watching. Hitman 2016 will have this option too. When Hitman switched to the seasonal model, it was announced that a physical edition containing all of the first season would be released in January 2017. Other than a two-month stopgap which offered a summer bonus episode only available to those who purchased the full experience package or upgrade package, IO Interactive has kept to a monthly schedule for new Hitman levels. Agent 47 traveled to Paris in March, Sapienza in April, Marrakesh in May, Bangkok in August, and Colorado in September. With Hokkaido due at the end of this month, our assassin's long, convoluted journey comes to an end. That is, until season two begins.